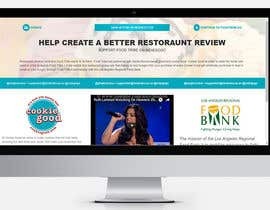 I'm Terence, the Founder of Food Tribe: an in development restaurant review site committed to ending hunger. 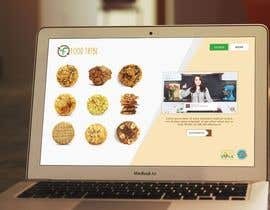 When you think of Food Tribe, think Reddit+Yelp. Deliverables for this project will be HTML files + a fully functional, mobile optimized, deployed website. Have you had a chance to review the API documentation? Yes i hade look,but i realy don't understand this. What is this fails and what i must do with this. Can you explain little more about it,thank you..
hello sir, you need only a landing page instead? or how? or I create a design and convert to html? Ok great! Have you had a chance to review the API documentation? The cover pages that are available have limitations as to what can and cannot be done, It may not possible to implement your wireframe exactly into the coverpage, heck, it maynot be possible to implenet the wireframe altogether... looking at the cover page previews it does not seem like it will be possible to implement your wireframe. wordpress with standalone hosting might be a better option... if you have already linked the domain name to squarespae then I dont think you can switch over to wp with standalone hosting... however i'm not sure as i havent seen the backend of how square space works, but if i can work with wordpress the squarespace is a breeze. If you can let me take a peek at how things work on the backend then I can let you know if it can be done. 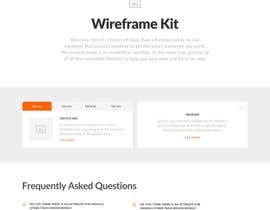 on squarespace in developer mode along the wireframe that you have posted... however I can do it along a separate wireframe on the website themes... or as I said earlier on a hosting service by implementing wordpress. 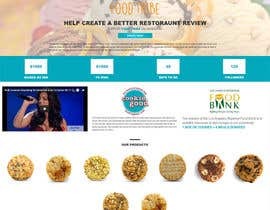 which website themes? Also, can you put together a mockup for the hosting service / wordpress option?